Click here to visit the Suave tab. Then click “get a sample” and fill out the form to enter their sweepstakes. 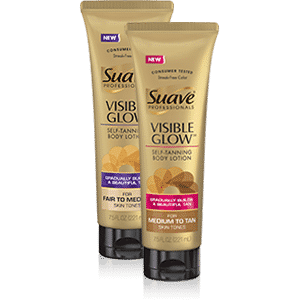 50,000 winners will each score a coupon for a free full-size Suave Professionals Visible Glow Self-Tanning Lotion product. Good luck!